At the meeting point of four major wine growing valleys, Healdsburg boasts no shortage of wineries to visit and tasting rooms to sample at in town and out amongst vines. Fortunately, the traffic of Napa’s Highway 29 hasn’t yet found its way to the Russian River Valley, the Dry Creek Valley, the Alexander Valley, and for the most part, the Sonoma Valley. Healdsburg itself is a delightful, re-energized small town with a shiny new gloss and restaurant revolution around its central plaza. Then depending on where tasting plans send you, the possibilities of exploration around the area are endless. In town, yes you can go fo well known brands such as La Crema and Kendall Jackson. The real highlight is a small cluster of new tasting rooms just on the edge of town, about five minutes from the plaza on Front Street. This area may be best known for its sun drenched zinfandel, but watch out Willamette Valley and Santa Barbara. 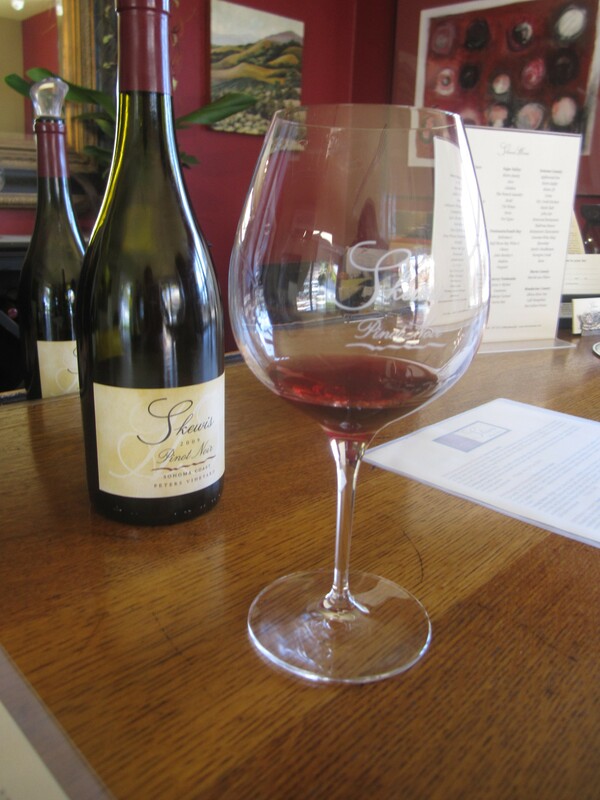 The wineries of Sonoma County are crafting some formidable Pinot Noir. Leading the pack is Hank Skewis, a true virtuoso winemaker with the grape. Skewis founded Skewis Wines in 1994, meeting his wife and business partner Maggie the same year, and released his first vintage of 70 cases in 1997. Now Skewis produces around 900 cases with grapes from six vineyards in the Russian River Valley, Anderson Valley, and Sonoma Coast. Hurry and get a case before the precious 899 others are gone. 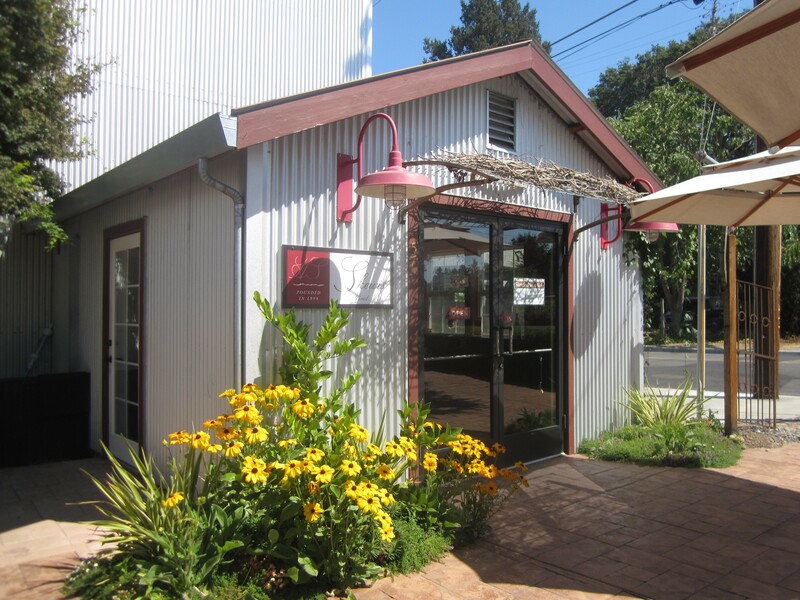 Or visit the now year old tasting room, always with either Maggie or Hank pouring. A tasting here is a most insightful and enjoyable experience about all things wine, food, and the good life in wine country. Really, it’s a tour de force lesson on Pinot Noir. All four selections currently are from the 2009 vintage. The Greenwood Ridge Vineyard in the Anderson Valley brought a somewhat light, rustic taste to the palate, full of plum and cherry, and a few notes of sage brush. The Montgomery Vineyard in the Russian River Valley compliments the Greenwood Ridge, with a slightly darker hue, a touch more tannins, and more floral notes compared to less spice. Pinot Noir at its finest is presented by the Salzgeber-Chan Vineyard, also in the Russian River Valley. Here, the moss and splendor of a forest floor are echoed in the cedar and foggy notes. With barely any tannins, the handsome body boasts a deep ruby color, a true gem. It’s the Italian varietals, not Pinot Noir that runs the show at Forchini Vineyards and Winery, the domain of Jim Forchini. He’s been growing grapes since 1971 and crafted his first vintage in 1996, with now 3,000 cases produced annually. 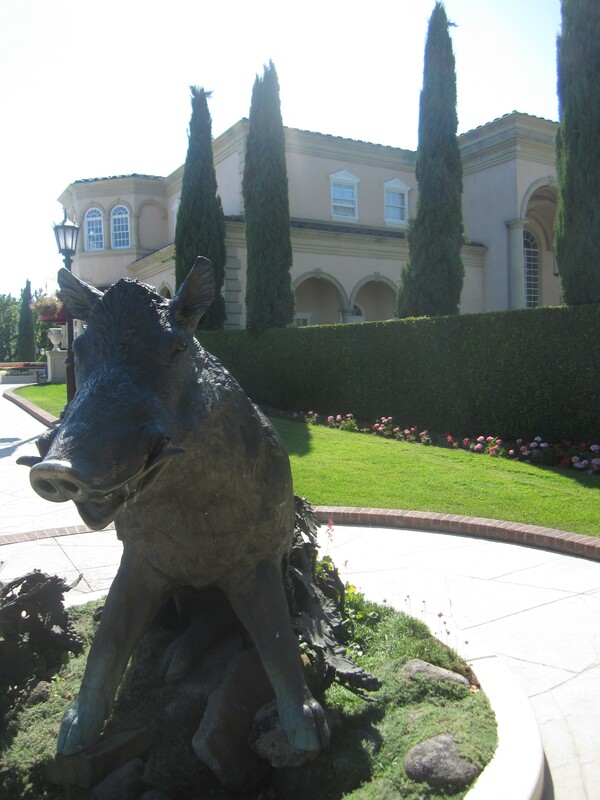 The spectacular location along Dry Creek Road, the winding main thoroughfare of Dry Creek Valley wineries that boasts breathtaking vista after vista, features enthralling views of the entire Dry Creek Valley and the mountains beyond, complete with lovely fountains and a most charming patio. After the guard dogs greet you, a somewhat spare 2010 chardonnay commences tasting. A 2008 Russian River Pinot Noir and 2009 BeauSierra Bordeaux blend were both enjoyable, though neither were transforming like at Skewis. The star is the 2009 Papa Nonno Tuscan Red, similar in style to a Chianti, with mainly Zinfandel, Cabernet Sauvignon, Carignane, and a little heirloom white. It’s a stronger, bolder wine than Italian blends often are, speckled with herbs, and enough tannins to provide some strength. 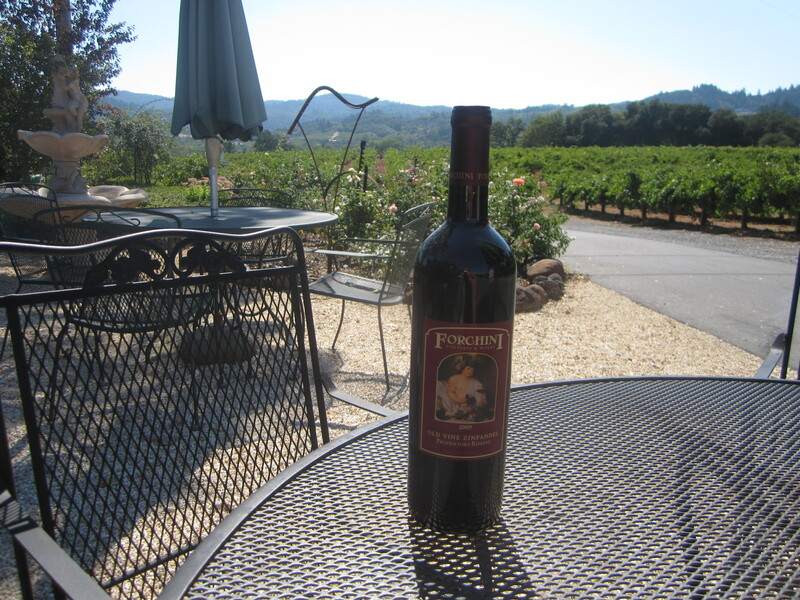 The 2009 Old Vine Zinfandel is a perfect rendition of the grape, rustic and hearty, but also energetic. It’ll be perfect in about 3-4 years. Nobody could argue with the almost elegant 2008 Cabernet Sauvignon, extremely well rounded, and far less fruity and rustic than the Italian blend and Zinfandel. 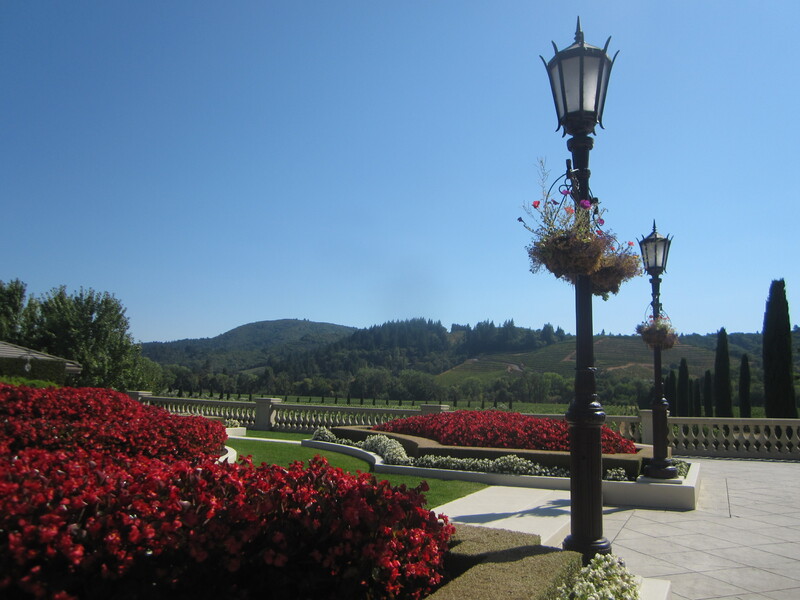 Scenery wise, it doesn’t get any more magical than further along Dry Creek Road at Ferrari Carano’s Villa Fiore. Yes, it’s incredibly touristy. The parking lot can fit a dozen buses and upon entering, you are greeted by a spacious gift shop and hosts at the cashier desk who tell you the tasting options. Try to ignore than and savor the mesmerizing views. Savor the perfectly manicured gardens too, more of a destination than the wines. Neither the 2011 Fumé Blanc or overly oaky 2010 Tre Terre Russian River Chardonnay moved me. The 2009 Pinot Noir lacked the body and brightness, proving too pale and fruity to compete with Skewis or Forchini. A 2009 Old Vine Zinfandel at least showcased some intriguing herbal and stone notes, but again was a touch too pale. It’s $5 at the stand up, regular bar, or of course, fork over the higher price downstairs at the Enoteca for the “special” wines. O.k., you will absolutely be transported to the Italian countryside. It’s a necessary experience. It just won’t be the wine tasting highlight in this region. Seriously, you pay the tasting fee at the tasting bar and if you want to buy a bottle you have to do that separately elsewhere? A ridiculous policy. One transaction only at one place would help curb a little of the corporate feel of the place. Go for the Italian palazzo, go to Skewis, Unti, Forchini, Lambert Bridge, or any dozen other tasting rooms for the wines. Seghesio’s tasting room back just on the edge of Downtown Healdsburg won’t exactly shake off the corporate feel of Ferrari Carano. Now owned by the Crimson Wine Group, Seghesio was one of the first in the Sonoma County to make wine, first crushing grapes in 1902. The tasting room is very handsome, but exudes that aura of “join the wine club, join the wine club” which makes a tasting awkward. Seghesio does produce 100,000 cases a year after all. This isn’t Skewis in terms of intimacy. Or the caliber of the wines. 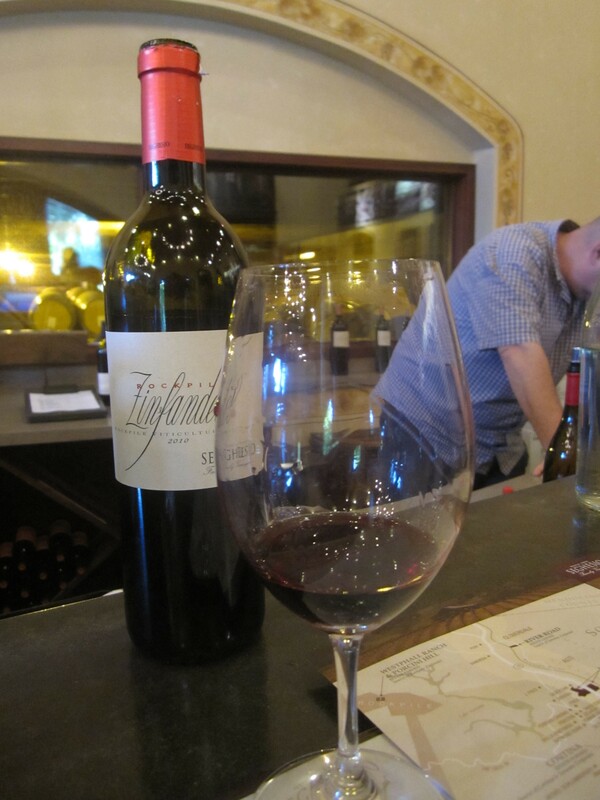 Zinfandel runs the show at Seghesio and for the most part, deservedly so. The stand out was a 2009 Cortina Zinfandel, a bold, brash, beautiful expression of the grape and the dusty soil of Sonoma County. The 2009 Marian’s Reserve Zinfandel based blend wasn’t far behind, nor was the 2010 Home Ranch Zinfandel with its hints of prickly pear. I was disappointed in a weak, slightly unbalanced, sour 2010 Rockpile Zinfandel that needed more time and the harsh spicing seemed out of proportion to the weak tannins. The 2009 Sangiovese was pleasant, with lovely grilled stone fruit notes and a surprisingly strong body. On the other hand the 2010 Costiera Pinot Noir had far too much of a berry push at the start, leading to a mellow, plain finish with barely a hint of earth. Nobody cared either for the lone white, a 2011 Arneis that had a screeching unripe kiwi nose and veered too far towards minerals later. For an exemplary Sonoma Coast Chardonnay while in Healdsburg, dine at Scopa, and order a bottle of the 2009 Wind Gap Chardonnay from near Santa Rosa. It will show how a pure, golden as the Sonoma countryside colored Chardonnay with a little oak and a little butter, then notes of mango and Greek yogurt can be a knockout expression of the rugged Sonoma Coast region. This entry was posted on September 19, 2012 by trevsbistro. It was filed under Healdsburg .